What with making his monthly sales quotas and homeschooling his kids, Pewfell’s life is no longer his own. Could popular children’s entertainer StrangeBlob NoPants be the answer to all his problems?!? 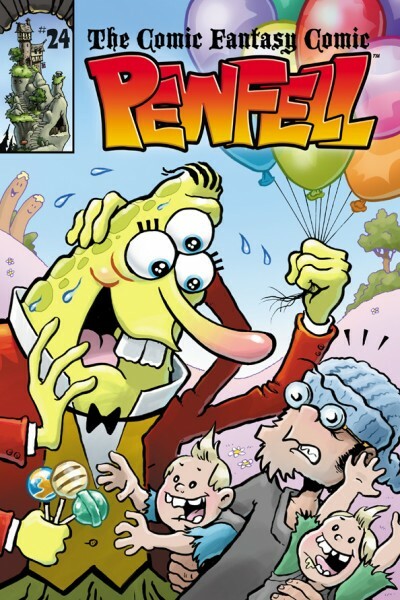 Yes, folks, Pewfell#24 is done and posted! Right now it’s exclusively available as a PDF download on DriveThruComics.com. And what is more, I have a special coupon code for you to get a copy during the month of July for half-off. That’s 99¢, to you! !